Estate Sale and must be Sold. 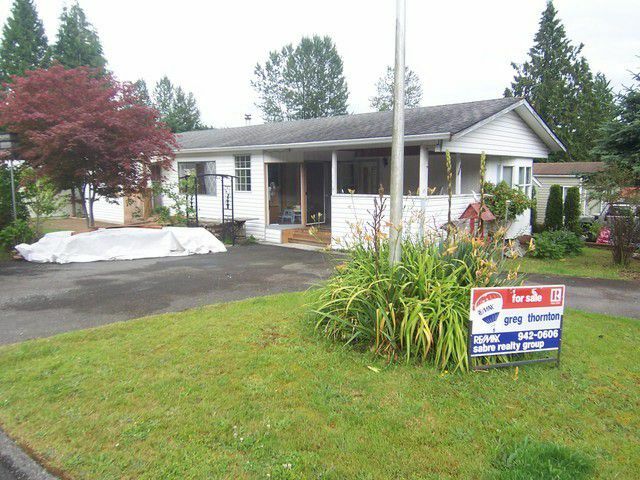 Solid 3 bdrm and den home situated on a double corner lot. Huge master bdrm w/his & hers dble closets & laminate floors. Good sized 2nd bdrm w/a 3 piece enste ( used to be the master bdrm) plus a 3rd bdrm &small den. Nicely updated 4pce main bath w/new tub surround, sink & vanity & ceramic flring. Nicely updated kit w/raised white cabinets, newer lino & a large E/A as well as a sep dinrm & adjoining famrm opening onto the 12 x 15 cov.s/deck. Cozy lvgrm w/ a gas heatilator F/P. New roof approx 5 years ago.